Currently viewing the category: "learnppt.com"
What Is the Value of Strategy without Execution? Without execution, strategy is merely theory. Most frameworks, guides, and business gurus who discuss corporate strategy focus purely on the theory of great strategy, but don’t teach the art of great execution. LearnPPT’s latest framework covers the topic of Strategy Execution and Organizational Effectiveness. A great strategy may put you on the competitive map, but only great execution can keep you there. Most organizations struggle with execution. They understand the strategy, but can’t translate that vision into the day-to-day changes to operations and actual implementation. The document will explain various frameworks related to business strategy execution and includes PowerPoint templates to be used for your own presentations and analysis. Growth strategy is typically the crux of any organization’s business strategy. Achieving sustainable growth is a challenge faced by all companies, whether you’re just a startup or a gorilla. There are several main barriers that inhibit continued growth. These include coming up with break-through innovations, execution challenges, and balancing growth at the expense of profitability. In framing the growth challenge, there are typically 3 “horizons” a company must cross and overcome. The first is to extend and defend it core business. This is critical for near-term performance and, oftentimes, too much of a focus. Successfully growing through this horizon requires very strong operational managers and leadership. The second horizon is to build emerging businesses. The objective is to drive or invest in ventures that leverage or replicate the existing business model and capabilities. Successful navigation through this horizon requires entrepreneurial members and business builders. The final horizon focuses on creating viable options for future growth. This requires input from “visionaries” and unconventional thinkers. LearnPPT is a leading online resource for presentation materials. Its range of products range from PowerPoint templates to business strategy frameworks (like the one on pricing strategy). All documents were created for an by top management consulting firms. Since its founding in 2010, the LearnPPT documents have been used by customers in Fortune 500 companies, top MBA programs, and leading management consultancies across over 45 countries. In this first section, we explain how all companies are faced with the challenge of achieving sustainable growth. Specific growth challenges and situations are identified and explained. We show how a successful company must navigate across 3 growth “horizons,” which involve both optimizing the existing core business and creating new ones. Specific barriers and paths to growth are enumerated. This section discusses the focus and thinking of traditional growth strategy frameworks, such as Porter’s Five Forces and the GE-McKinsey Matrix. There is a deep dive into Porter’s Five Forces, including template slide for presenting a Porter’s Five Forces analysis summary. This third section is the largest section of the document. It includes a detailed comparison between Traditional Growth Strategy Thinking versus Modern Growth Strategy Thinking across the areas of industry, strategy, market, resources, among other components. The focus is on teaching the Blue Ocean Strategy framework, include the related topics of portfolio positioning, value identification, and value curves. Specific examples are provided, along with template slide for presenting a Value Curve analysis summary. This final project teaches how to conduct an actual growth strategy project. A three-phase approach to strategy development is introduced. Specific work streams, activities, and deliverables are identified for each phase of the project. This is the same approach to conducting a growth strategy engagement used by many strategy consulting firms. Pricing strategy is a critical component to any product marketing plan. It drives not only product margins, but determines its overall profitability–as its a primary lever to product positioning. Pricing strategy begins with a simple question–to skim or to penetrate the market? Price skimming involves introducing the new product or service at a relatively high price point. Then, with time, as competition increases, the pricing for the product is lowered. Companies typically engage in this strategy when they’re first to the market and feel they have a substantial lead or enough barriers to entry against its competitors. On the other hand, penetration pricing involves introducing a product or service at a low initial entry price point, often lower than competing products in the market. The motivation behind this is to capture as much market share as possible. Companies should only engage in this low-cost player strategy if they can sustain a lower cost structure relative to peers. This lower cost structure can be derived to a specific advantage, be it a process, technology, resource, legal, geography, or other differentiator. This first section presents a detailed discussion around the overarching pricing strategy of Price Skimming or Penetration Pricing. These two strategies are compared and put into the context of where your product sits along the Product Adoption Lifecycle. Advantages and disadvantages are enumerated for both Price Skimming strategy and Penetration Pricing strategy. This section focuses on the quantitative approach to calculating your optimal price point, based on your selected pricing strategy. We walk through a three-phase approach to determining the appropriate price point: 1) data collection, 2) analysis and insights, and 3) pricing. Price curve analysis is introduced, along with several examples illustrating how price curve analysis is used. At the end of this section, we show how to create a financial model out of the derived formulas. This is the embedded Excel financial model. Documentation for the financial model is also included in this section. For each pricing tactic, there is a slide showcasing the tactic’s definition, examples, and list of related pricing tactics. Here’s a great collection of PowerPoint diagrams, templates, and charts (over 20 in all) you can add to your arsenal. It’s the 2011 Holiday Gift from LearnPPT. Download it below for free. And, if you haven’t yet, be sure to also download the Basic PowerPoint Toolkit. This is another free download and includes 15+ slides of PowerPoint diagrams, shapes, templates, charts, tables, and icons. The time and effort it takes to create a professional business presentation may not seem economical. For instance, management consultants, paid $1000+ a day, spend a majority of their time cranking our PowerPoint presentations. Though clients would rather have their consultants spend this time doing research and more analytical work, we all recognize the necessity of solid presentations to effectively communicate gained insights and recommendations. The same issue holds true for managers, executives, and well paid analysts. To help alleviate the economic resource burden of creating presentations, McKinsey established a Visual Graphics group for the sole purpose of cranking out presentations for its consulting arm. McKinsey management consultants would draw out slides on paper, scan and send them to Visual Graphics. Visual Graphics would then convert the scanned images into PowerPoint slides. Draw and email your slides to LearnPPT and they will convert it to PowerPoint slide format within 1 business day. They have a team of experienced PowerPoint presentation experts–in fact, hired directly from McKinsey’s Visual Graphic organization. View their site to see samples and a break down other related presentation services. 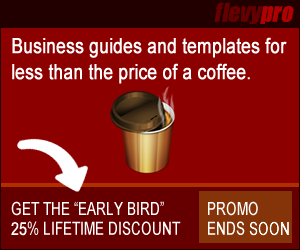 Exclusive learnppt.com coupon for blog readers! Whether this is your first time stumbling across here or you’re a long time subscriber, thank you for reading my blog! Via comment or email, I always appreciate any feedback you have on what I post. I want to make sure any articles I post are relevant to my readers’ interests and that you find it both insightful and useful. Since its launch (earlier this year), this blog has been the largest contributor of traffic referral to my PowerPoint products site, www.learnppt.com. I’ve received more hits from this blog than from Google and from my numerous Adword campaigns. As a token of my appreciation, here is an exclusive coupon for 25% off at learnppt.com. The coupon applies to both the eBook and all the PowerPoint products (e.g. diagram packs, business frameworks, icon packs). BTW, there is a limited number of times this coupon code can be used before all the coupons are used up. At that time, I will try to update this post with a notification that this promotion has ended.